A shower remodel is one of the simplest, most effective ways to provide a much needed update to a bathroom of any shape or size. 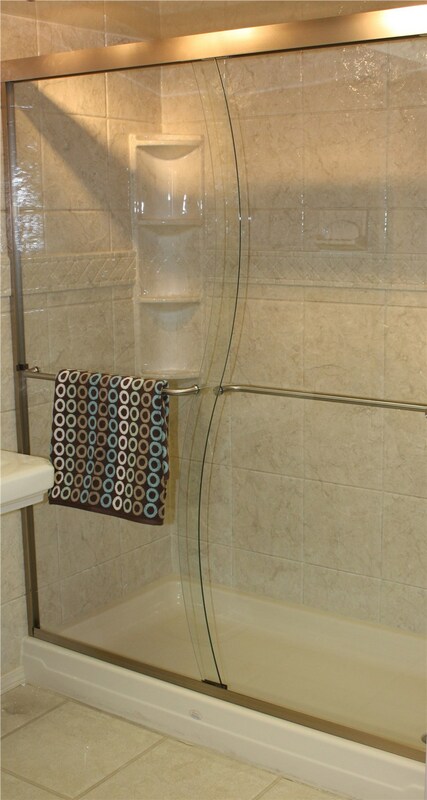 At Luxury Bath, we provide complete shower remodel options for every need and budget. If you are seeking to simplify the process of shower remodeling, here are some tips to make the process much more enjoyable and stress-free. Are you looking to simply remodel or completely replace your shower? Depending on your budget and goals for your new bathroom, a simple refinishing might be all your shower needs. Once you have an idea in mind, Luxury Bath can assist with the design, installation, and any other needs to simplify your bathroom remodel. To remodel your shower with ease and transparency, it’s essential to know the budget beforehand for picking out design, planning installation and the finishing touches. Moving plumbing pipes and completely changing the layout of the bathroom can often prove to be costly and unnecessary. With Luxury Bath, you can make the best decision for your needs and save costs further by keeping past plumbing while replacing or remodeling the shower. Offering numerous shower replacement options, Luxury Bath is the go-to destination for complete customer service and high-quality shower remodeling products paired with unbeatable installation. For all your shower replacement and remodel needs, trust Luxury Bath to complete the job with expertise and dedication to excellence. Contact Luxury Bath today to learn more about our various shower replacement and remodel styles and to schedule a free, in-home consultation!